Finish the other legs and completed the body assembly. The servos are hold to a piece of plywood with plastic straps and the battery holder is fixed to the “belly of the beast” with double sided tape. 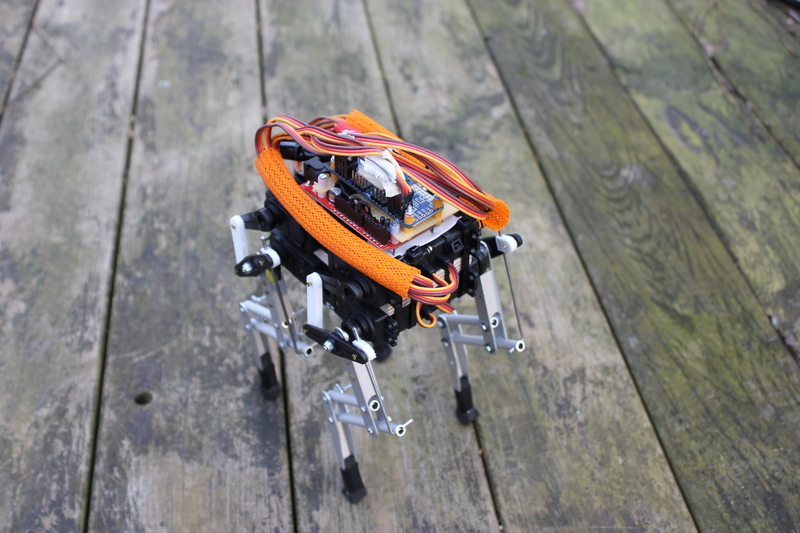 This entry was posted in Felix, Robotics on February 26, 2014 by ronaldx. Short test of the trajectory and inverse kinematic implementation. 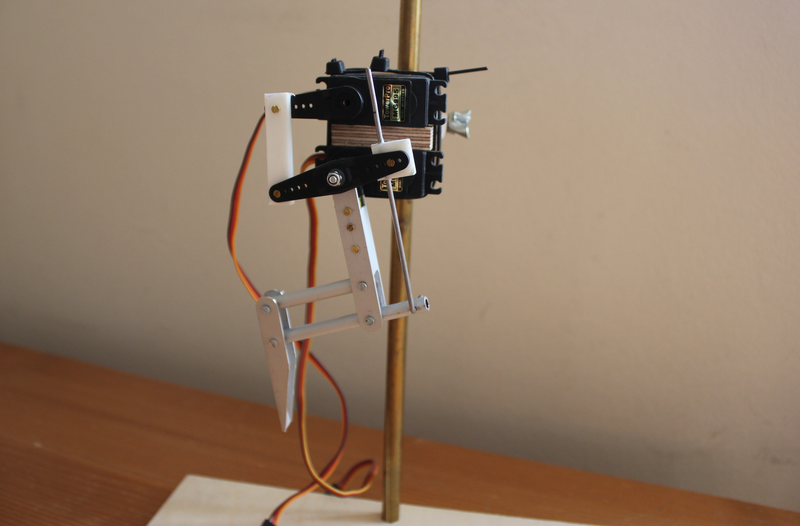 This entry was posted in Felix, Robotics and tagged inverse kinematics, trajectory, video on February 24, 2014 by ronaldx. To control Felix I have a Sparkfun RedBoard wich corresponds pretty much to an Arduino UNO, and an Adafruit 16-Channel Servo Driver mounted on a proto board with a power switch and a start-stop button. Currently I’m using 4 AAA batteries to power the servos, but I have to do some research about LiPo’s (which I haven’t used before) to keep the weight down. 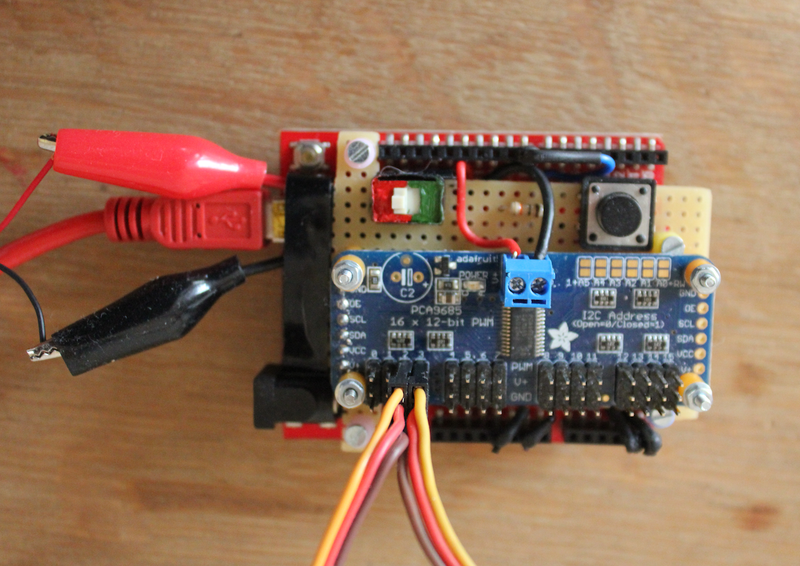 This entry was posted in Felix and tagged Adafruit, Arduino, Sparkfun on February 6, 2014 by ronaldx. 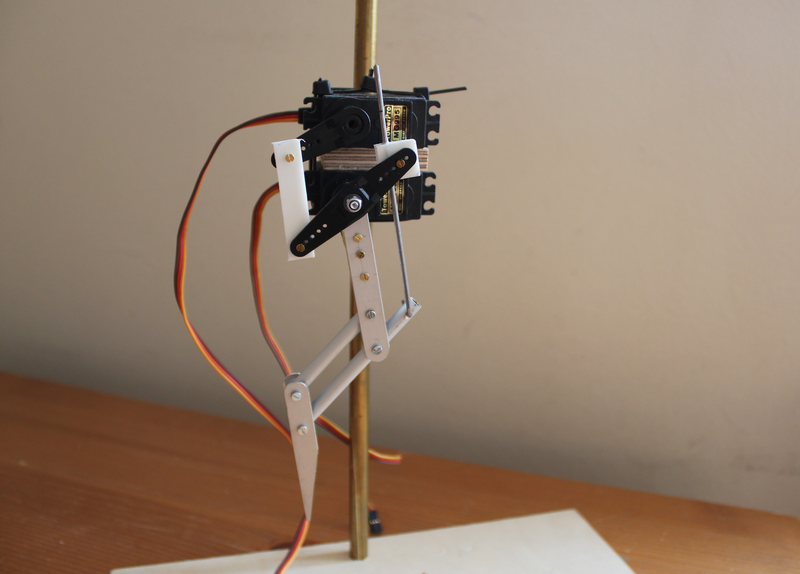 Find some time in my shop to make a leg, strap two servos and hook it up to a rig. Now it’s time to write some code to get this leg moving. This entry was posted in Felix on February 4, 2014 by ronaldx.